Besides being an amazing composer, producer and bassist, Jon Stockman is amazing at crafting some of the most devastating bass tones in the world. We got together in our then Helsinki headquarters 18 months ago and after endless tweaking and tens of prototypes we are finally ready to announce our first co-designed creation: Alpha · Omega. 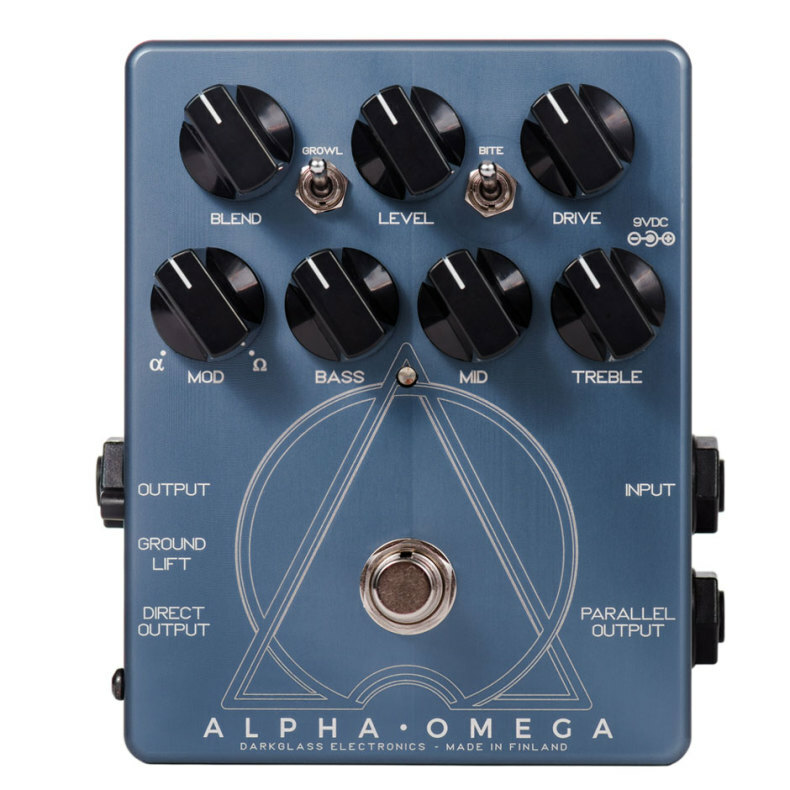 This creation differs greatly from our previous preamplifiers and overdrives: it is fully operational amplifier based and has two distinct distortion circuits (Alpha and Omega) which can be selected or blended using our Mod knob. This unusual control, in conjunction with the toggle switches and 3 active band equilizer makes Alpha · Omega the most flexible among our designs.